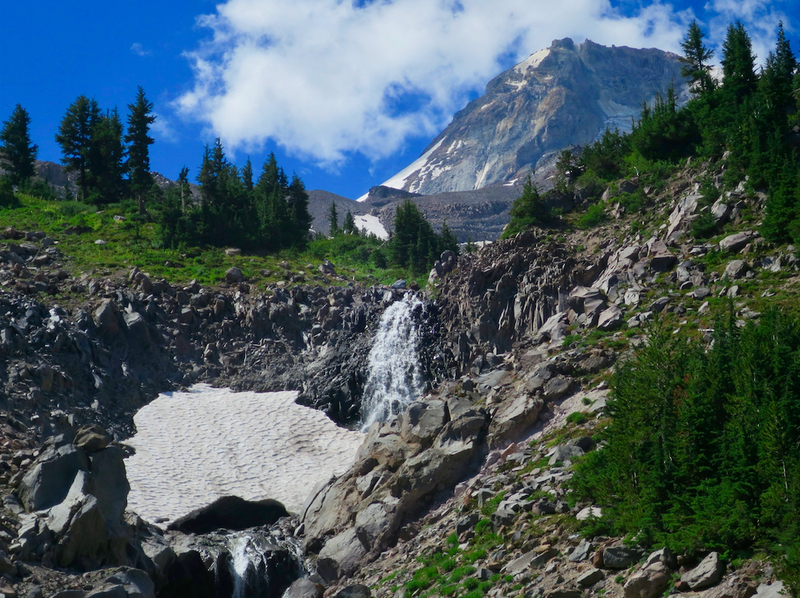 Non-bike-specific Car-free Rambles To run around a mountain: Timberline Trail! 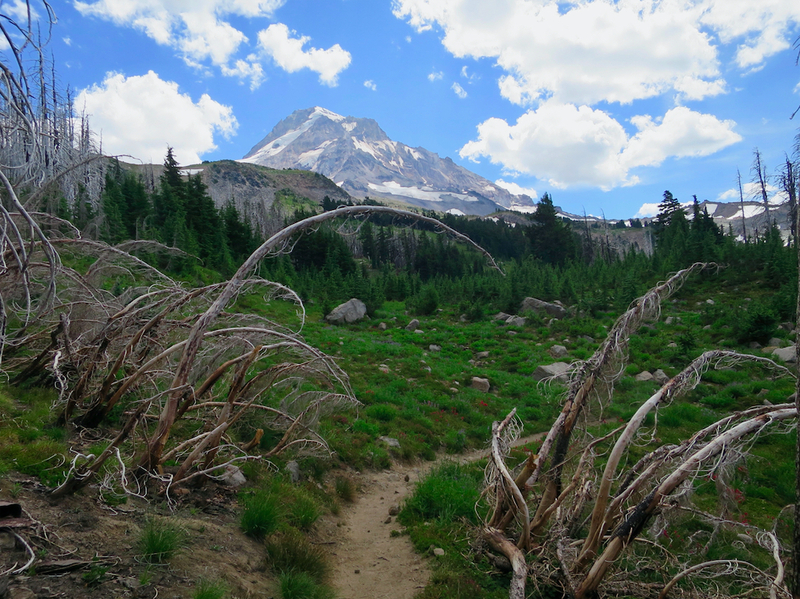 To run around a mountain: Timberline Trail! 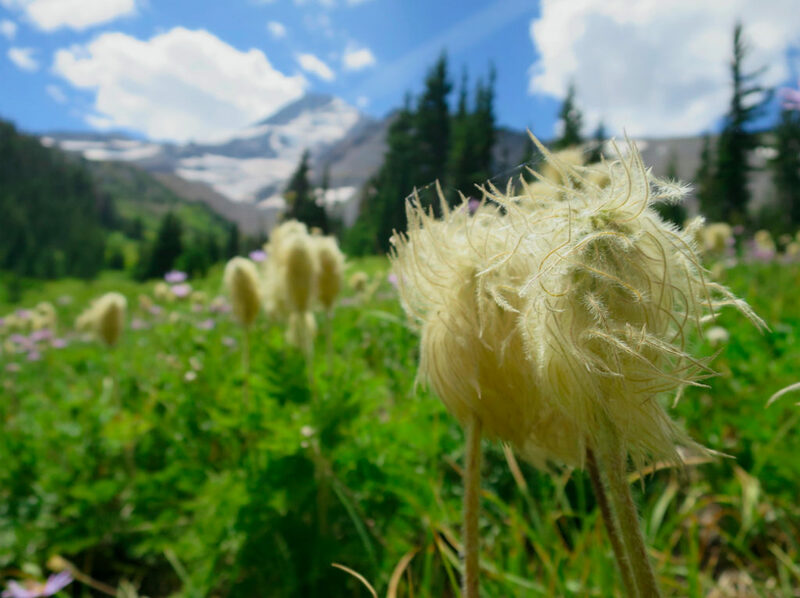 Really, this post is mostly an excuse to put pretty pictures of Mt Hood from many different angles on the internet. But hey! 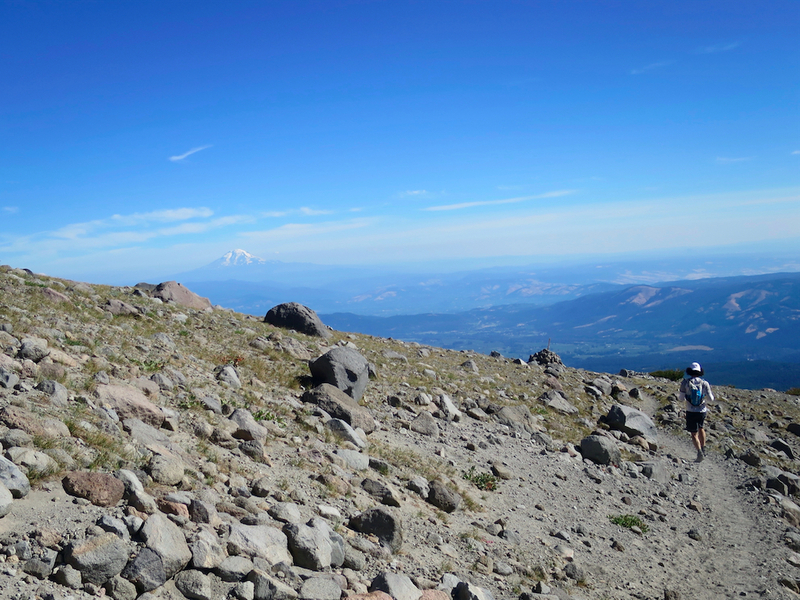 I ran around Mt Hood yesterday! 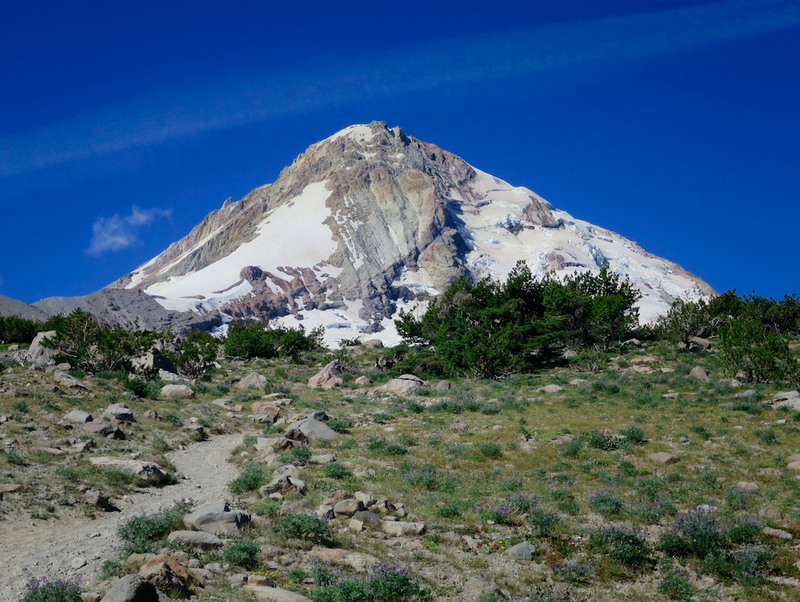 The 40-ish mile Timberline/PCT trail combination around Mt Hood is particularly lovely, except for maybe the last few miles, where I swear they moved Timberline Lodge (the end, that is) way further away from where it should have been. 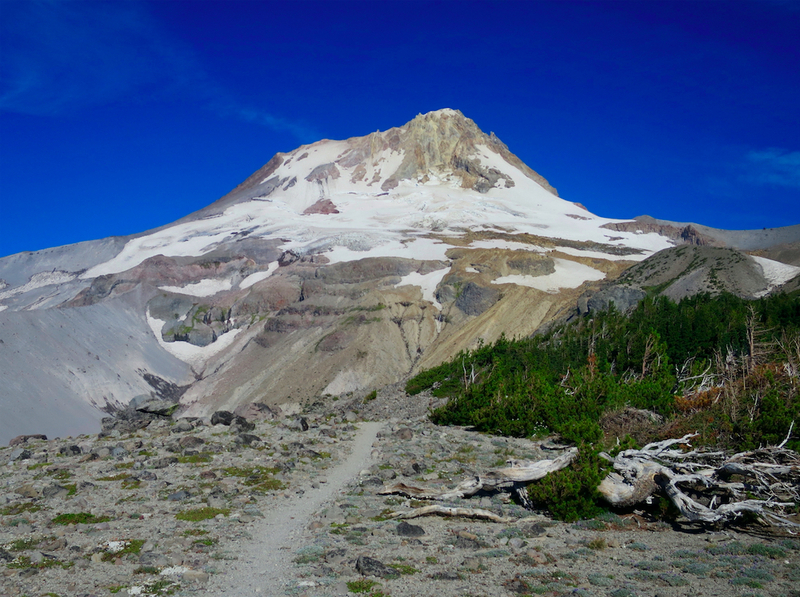 But for realz, it’s an amazingly scenic trail, and it is so fricken cool to see Mt Hood from all its various vantages. 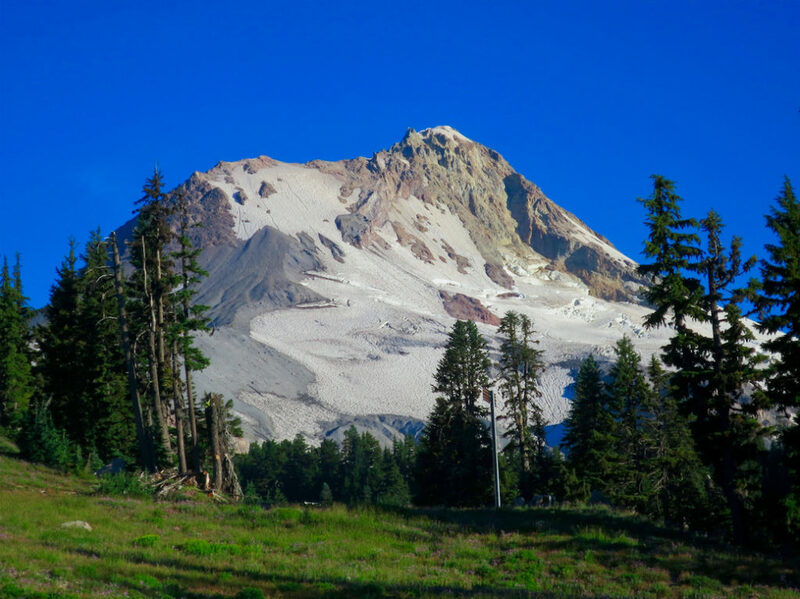 From Portland, we always see that classic triangular, perfect-volcano mountain shape, but it was super cool to see all the other features that make it distinctly un-triangular from other sides.